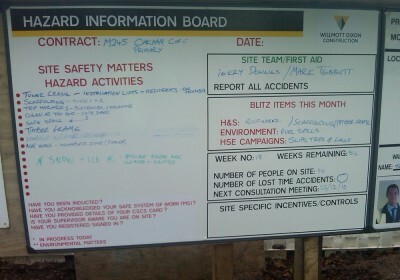 Sites should display a daily hazard board to provide up to date information to operatives and visitors. Relevant risk information and safety systems should be in place to ensure safety levels are maintained and to minimise the risk of accidents, injuries and fatalities. 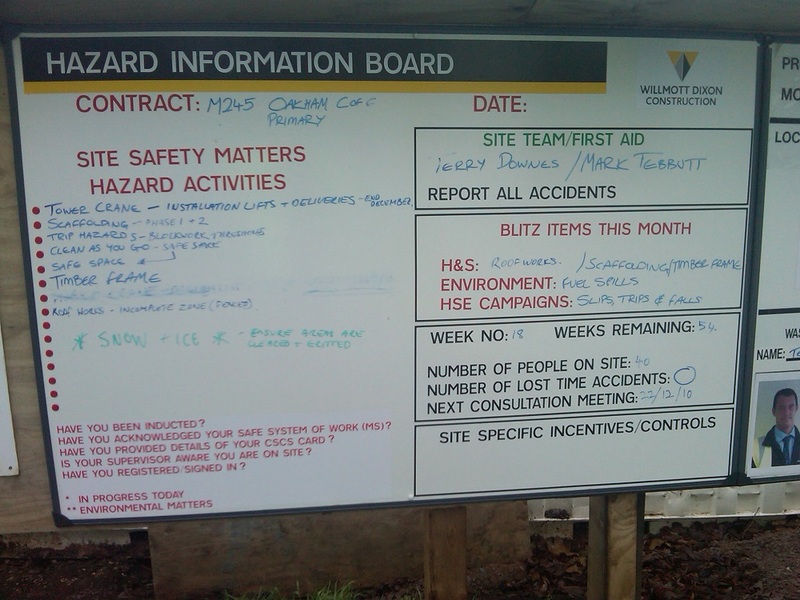 Point-of-work risk assessments were carried out every morning, before the task commenced. 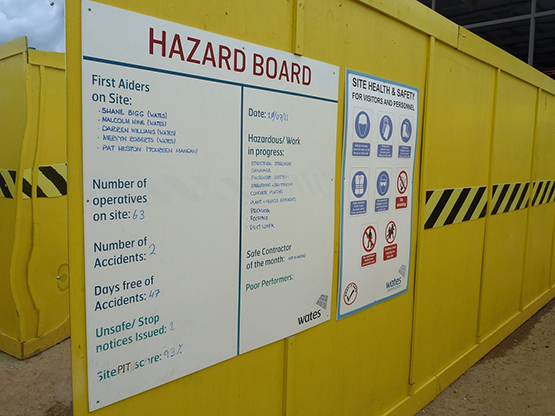 CCS Site Registration Examples of Good Practice Brochure; Monitor Report, Carillion Construction Services, Heathrow Airport, July 2014.